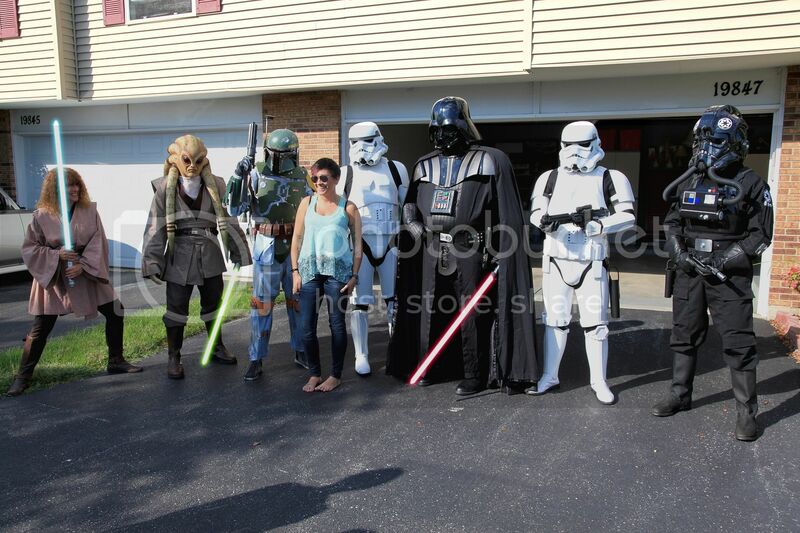 Midwest Garrison • View topic - 09-07-14 – Surprise visit for 4yo Carter - Frankfort IL. 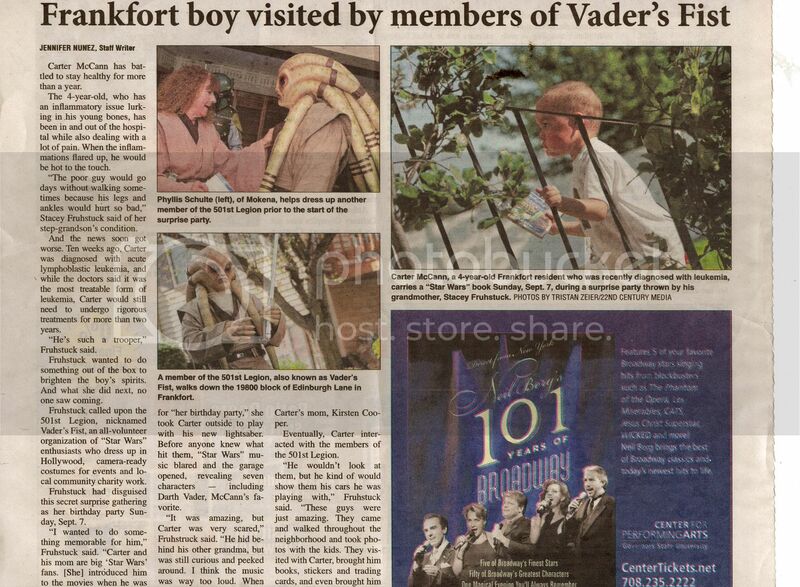 09-07-14 – Surprise visit for 4yo Carter - Frankfort IL. We were asked by Carter's Grandmother to stop and surprise him to try to brighten his day. 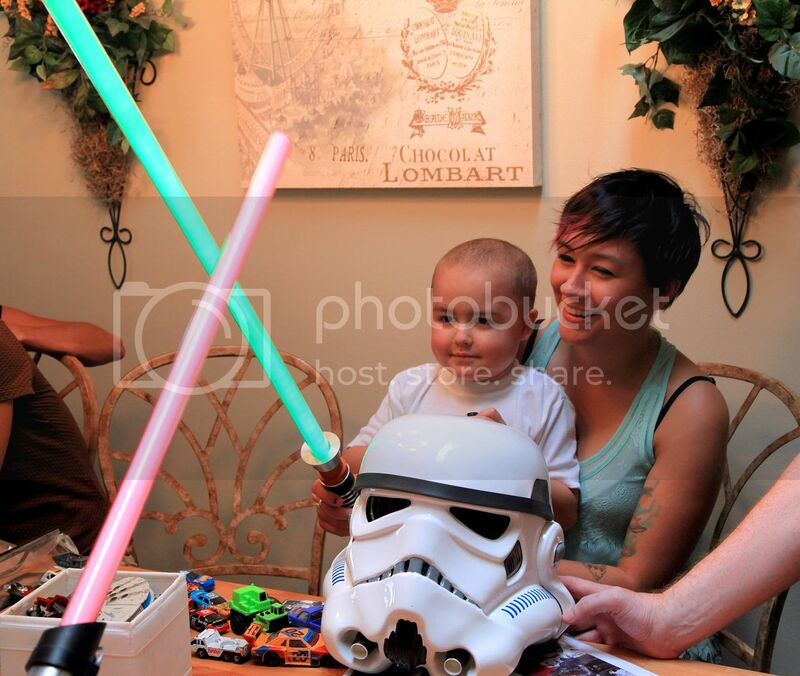 He is battling Leukemia and loves Star Wars. The event went well except little Carter was very intimidated by us. He hid behind his Mom most of the time. 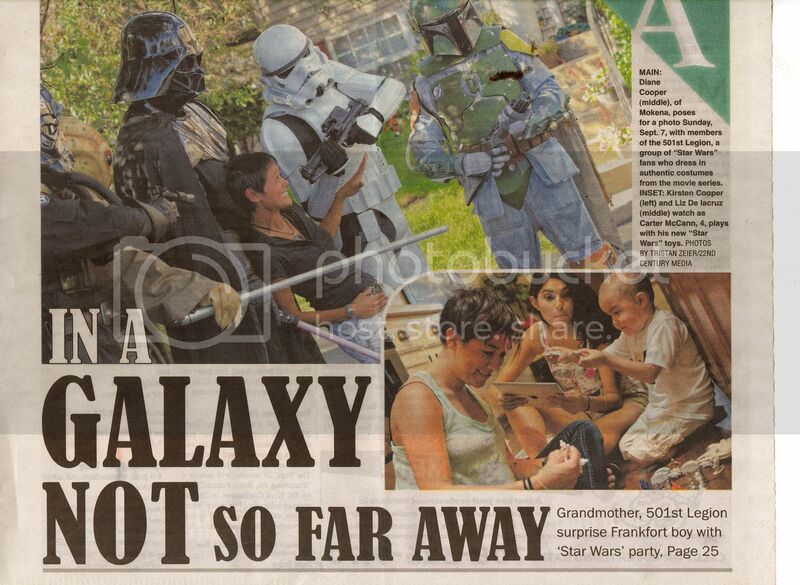 The local newspaper found out about the event and was there to take photos and report. Carter did warm up a bit after we suited down. No donation has been made. ToD updated. Wow, fantastic job! 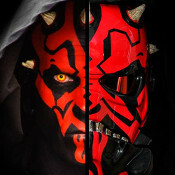 A great example of why we troop! !